a face that badly needs a punch. Mike Crowl is a New Zealand writer whose musical, Grimhilda! (which he composed and co-wrote), was performed in Dunedin in late April-early May this year. He writes on several blogs. His poems more often have a tongue-in-cheek flavour more than a serious one. He has also been experimenting with more traditional poetic forms over the last year. Of his poem Backpfeifengesicht, Mike says: I discovered the word, Backpfeifengesicht, while reading Twitter. It struck me as an ideal word to weave a humorous poem around. My ‘guide to pronunciation’ in my blog post about this poem is very approximate. she did an impression of a German comedian. I did an impression of a French mime. she said he was really funny. “what’s wrong with Berlin?” I asked. 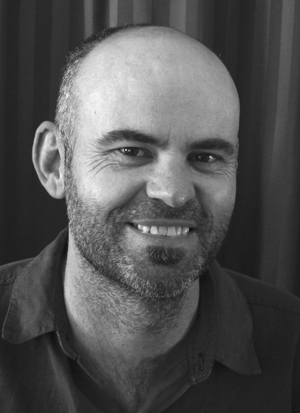 Vaughan Gunson is a writer living in Hikurangi, Northland. His poems have been published in a number of publications in New Zealand. He teaches art history at NorthTec in Whangarei and is the curator of the campus gallery. More of Vaughan’s poetry can be found at falling away from blue.